In part one of their investigation, aptly titled “AntiBellingcat Report,” they wrote about a mass of forged photos and video materials, along with highly dubious “eyewitness accounts” in the Bellingcat report. In their November 2014 report titled “Buk 3x2: Mystery of the Missing Digit,” Bellingcat insisted that the Buk-M1 self-propelled antiaircraft missile system, which shot down the Malaysian jet belonged to Russia’s 53rd antiaircraft brigade based in Kursk region. Failing to figure out the second digit on the trailer’s side, they just designated it as “Buk 3x2”. This time round, Bellingcat “experts” compared photos of a Buk system made during a June 2014 march by the 53rd antiaircraft brigade across the territory of Russia’s Belgorod region with that of a Buk made by Paris Match tabloid near Donetsk in Ukraine. They ignored the complete lack of any material proof or eyewitness accounts of a column of Buks or a single such unit having crossed the Ukrainian border. There has been no mention of any Buk with 3x2 on its side found on social networks. Moreover, the famous photo of a Russian Buk, allegedly being moved from Donbass back into Russia, presented by Ukrainian officials was actually made in Donetsk on March 19, 2014. Comparing the dents and scratches visible on the Buks shown in these photos, the Bellingcat specialists missed one important detail proving that the Buk belonging to Russia’s 53rd antiaircraft brigade and featuring 3x2 on its side, and the one being moved on a trailer in Ukraine, are two different units! The Buk photographed in Belgorod features a drop side on its back, which is totally missing on the trailer carried Buk shown in the photograph made in Ukraine. 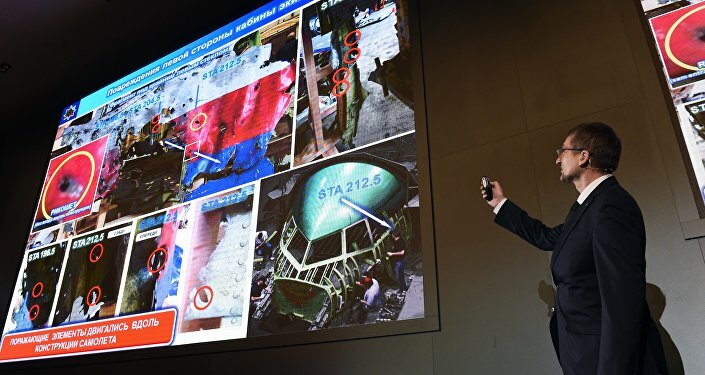 This means that Bellingcat’s allegations that the 3x2 (or 332) Buk belonging to Russia’s 53rd antiaircraft brigade had anything to do with the July 17, 2014 downing of the Malaysian airliner simply hold no water. Right after the July 17 tragedy, Kiev authorities insisted that there had been no Ukrainian antiaircraft installations in the vicinity of the crash site. This is not true, because the Ukrainian military had earlier announced that it controlled the entire airspace in the conflict zone. The authors of the “AntiBellingcat Report” published screenshots of a Ukrainian television program aired on July 16, 2014, that show a Buk self-propelled system complete with a radar installation. In a photo from another Ukrainian television program that was aired on July 14, 2014, one can clearly see a Buk 9A310M1 being moved on a trailer. There are also photos made on July 15, 2014 and posted by Ukrainian soldiers that show elements of a battery of Buks used by the Ukrainian army. 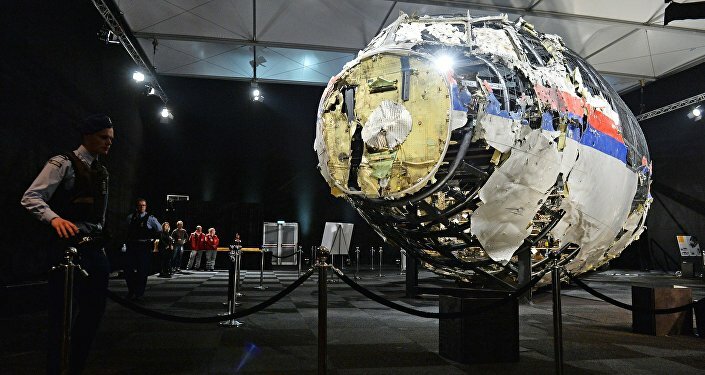 Was the MH17 fired on from Zaroshchenskoye? The authors of the “AntiBellingcat Report” have concluded that the missile that shot down the airliner was fired from Zaroshchenskoye, not Snizhne as Bellingcat experts allege. A thorough analysis of materials available on the Internet indicates that the Kiev military had been actively deploying anti-aircraft installations in Donbass since April 14, 2014. By July there were several batteries of Buk-M1 missiles stationed in the area. In July 2014 the independence supporters found a map belonging to a battalion commander of a Ukrainian airmobile brigade dated earlier that month. The map showed the positions of a Buk-M1 which, according to Almaz-Antei experts, had fired the missile that shot down the Malaysian jet. The map gives no indication of the number of the military unit the Buk belonged to, but it is clear beyond any reasonable doubt that the Buk belonged to the 156th Air Defense Regiment of the Ukrainian Armed Forces. Even though a military representative of the Donetsk People’s Republic, Eduard Basurin, said he was ready to make the map available for examination and identification, the information was ignored by members of the Joint Investigative Team. Alexander Tazekhulakhov, who served as a regional deputy air defense commander in Russia from 2005 to 2009, said that there were about 9 Buk systems in Ukraine. “The altitude the [Malaysian] airliner was flying at was too high for any other antiaircraft system on the ground. I believe it was a tragic mistake,” he said. Alexander Tazekhulakhov said that, according to Almaz-Antei, the missile could have been fired from Zaroshchenskoye which, judging from media reports, was under Ukrainian military control. “[US Secretary of State John] Kerry said he had irrefutable proof of what had really happened that day, but two years on we are still waiting to see this proof. I believe that this situation is playing right into Kiev’s hands,” Tazekhulakhov noted. He added that he still thought it was a tragic mistake and explained how a Being could be taken for a military transport plane. “I think that the only way for us to learn the truth is when there are people who want to know. The victims’ families want to know the truth. Because the tragedy happened on Ukrainian territory,” Alexander said. “I believe that the Ukrainian state bears full responsibility for what happened. After the plane went down all international services should have arrived at the scene, sealed off the site of the crash and started collecting evidence. How come the Dutch took a whole four months to touch anything?” he wondered. “My conclusion is that Ukraine has something to hide and it is up to them to ensure an unbiased investigation,” Alexander Tazekhulakhov said.